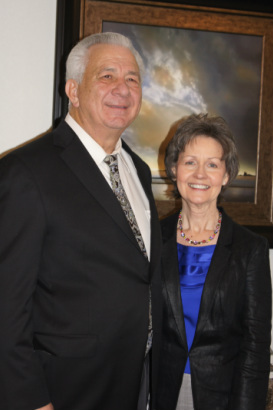 Bill Hardin was called to the ministry while attending York Avenue Baptist Church in Weatherford, Texas, under the leadership of Bro. N. W. Lowery. He served as Youth Director for two years under the leadership of Bro. Jessie Simon at Community Baptist in Forest Hill. Then, he was called to pastor Trinity Baptist Church in Strawn, Texas where he and his wife, Brenda served for one and a half years. Brother Hardin was then called to Ponca City, OK and started Bible Baptist Church. While there, Pastor Hardin oversaw the construction of a new church building and the Hardins served there for seven years. They returned to Sante Fe Baptist (previously York Avenue Baptist) and served under the ministry of Brother Glenn Phipps until 1982. In 1982, God called Brother Hardin to McPherson Road Baptist. During his ministry here, there have been countless souls saved and baptized. One church, Grace Baptist Church in Venus, has been established as a mission out of McPherson Road Baptist. He has faithfully led the congregation into completely paying off the church debt, and was instrumental in the purchase of additional acreage for planned church expansion. Brother Hardin currently serves as Secretary of the North Texas Preachers Fellowship and is Past Treasurer of the Metro Area Independent Baptist Fellowship. He has taught for two years at the Fort Worth School of the Bible at Crown College Southwest, and is now teaching at the Crown Southwest Norris Seminary. Brother Hardin and his wife, Brenda, currently live in Granbury, Texas.